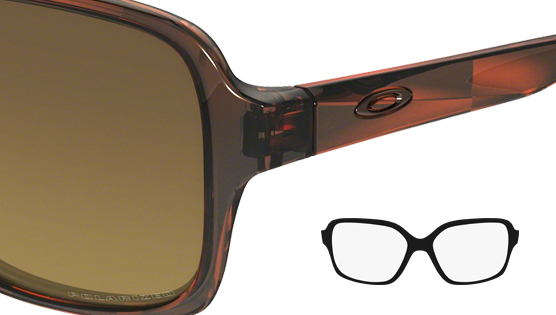 Oakley Proxy is the perfect partner for all glamour lovers of this world. Never lacking in technology behind those larger lenses, its an unexpected package for some. Here at Igero we're not sure why this gorgeous women's sunglass could ever be deemed as a stand-in for anything else? It's simply a stunning oversized fashion & lifestyle sunglass that will be first place in the eyes of many women. Rectangular shaped plutonite lens fit the lightweight, comfortable O-Matter frame at the core of the Oakley Proxy. Super slimline ear stems finish the look and a plethora of frame and lens colour combinations ensure your choices aren't limited. Put your eyes behind these beautiful lightweight and comfortable sunglasses this season - your eyes will thank you for your decision.